A small run of 99 pieces available only in Florence, the Radiomir Firenze PAM604 is the first Radiomir decorated with engraving, done by hand in the Florentine style. 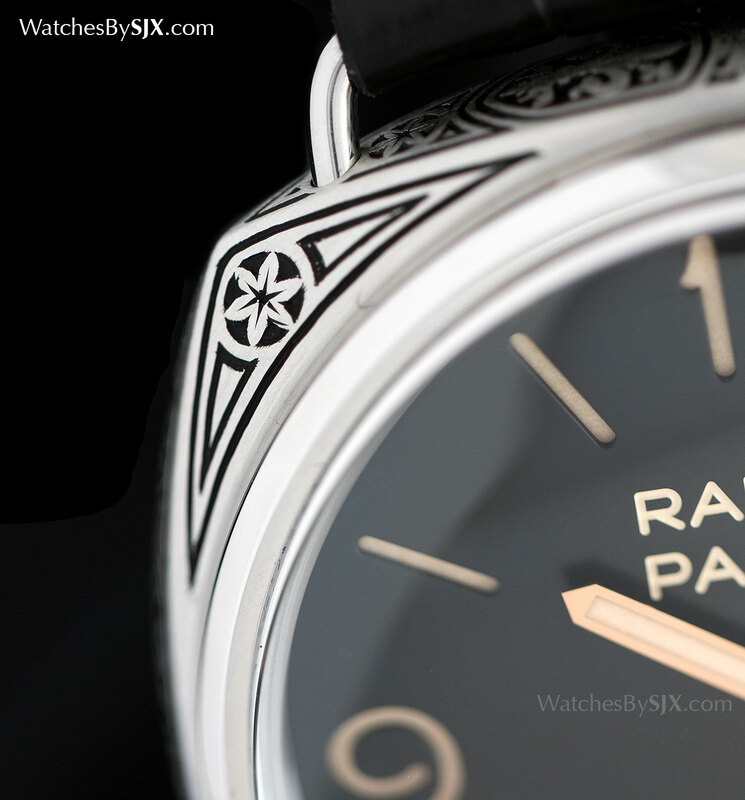 Panerai has long offered watches with engraved hunter cases known as the Luminor Sealand, initially decorated by the gunmaker Purdey (its sister company in Richemont) and now by anonymous Italian craftsmen. Now it has extended the theme of an engraved case to the Radiomir with the PAM605, the most artisanal timepiece in its SIHH 2015 collection. 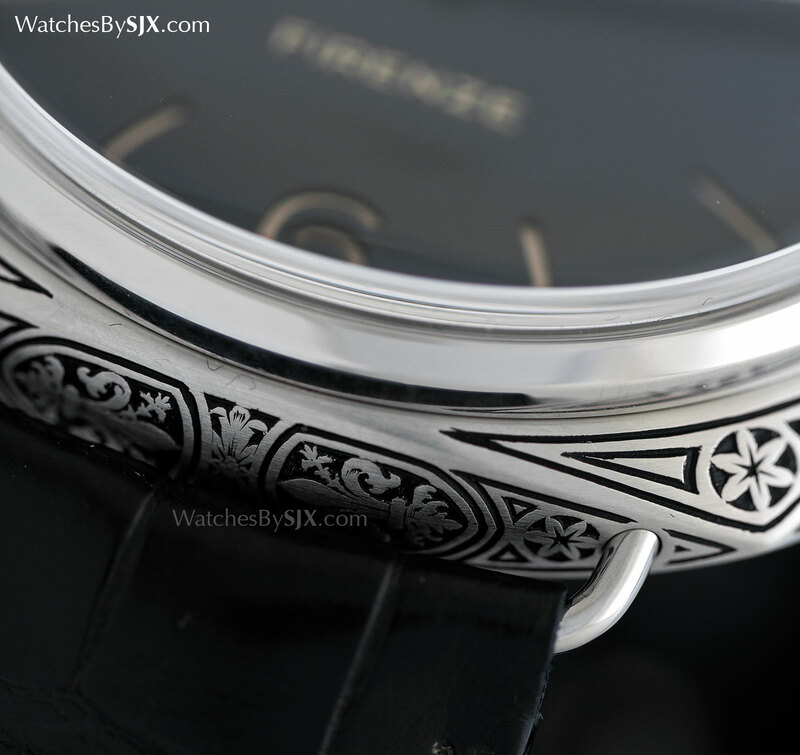 The Radiomir Firenze has a 47 mm steel case entirely engraved, front and side, with a Florentine motif. 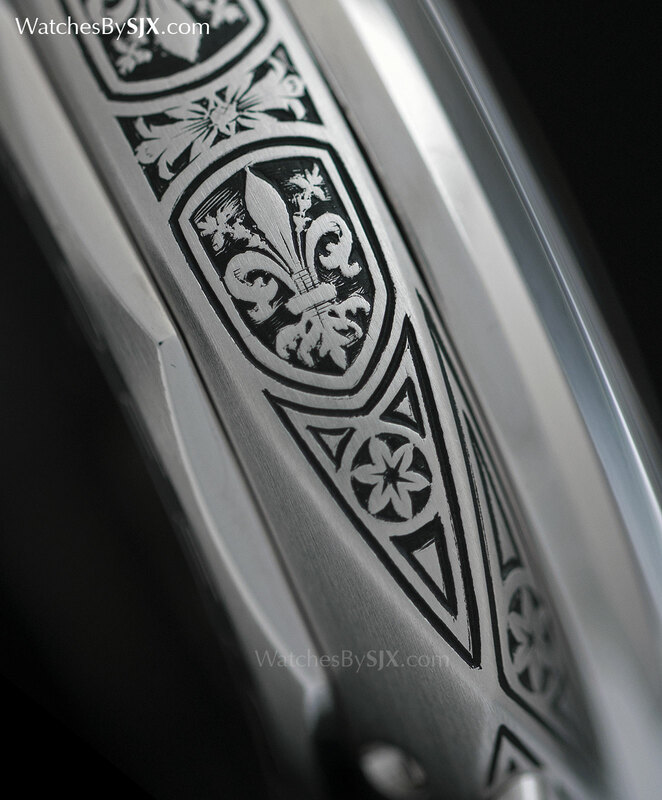 Found on the case front, four sides as well as the crown, the engraved decoration is in the Florentine style, with the Florentine lily (or fleur-de-lis) being the central theme. 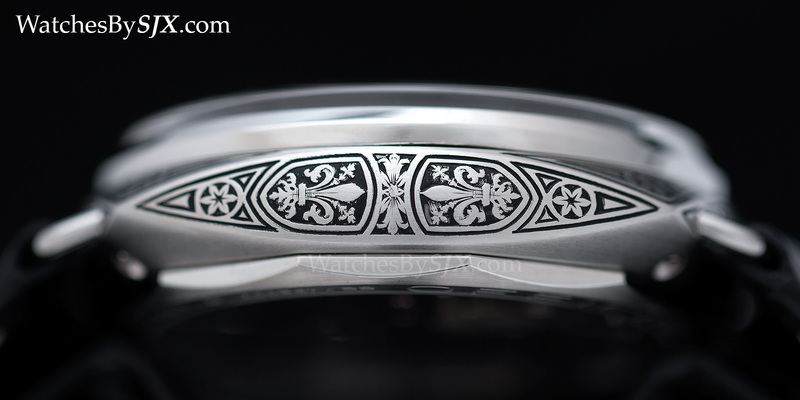 Engraving is usually done with lines or dots, in this case the motif is engraved with lines which are then filled with black lacquer for contrast. 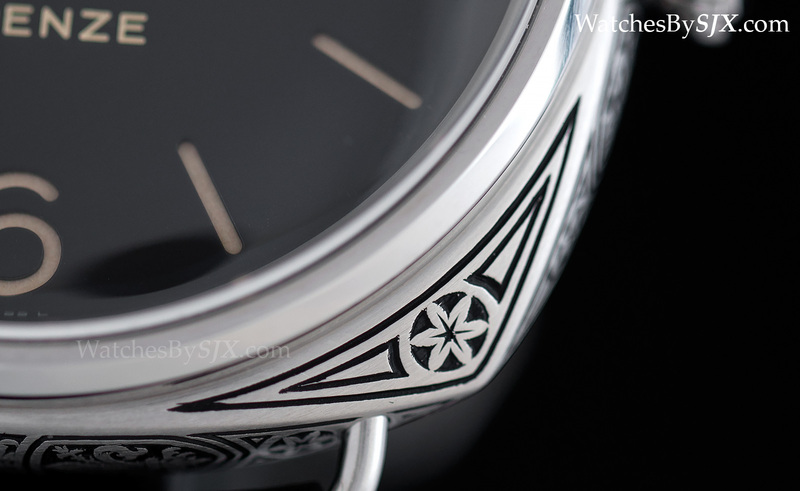 On the other hand, traditional high-end engraving achieves contrast with varying the fineness of the engraved lines or dots, a technique evident in the early Panerai-Purdey Sealand watches. The same effect can be found on currency, which are printed with hand-engraved copper plates. Nonetheless, the case decoration of the Radiomir Firenze takes a week to complete. 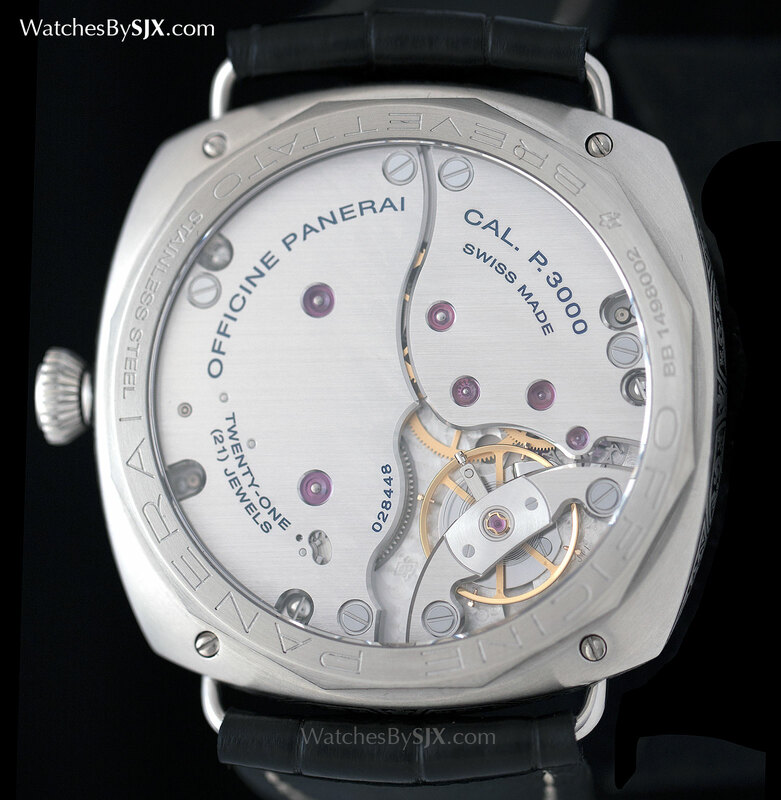 Like most other hand-wound Panerai watches with a 47mm case, this is equipped with the P.3000. Panerai’s in-house equivalent of a pocket watch movement, the P.3000 has a three day power reserve. 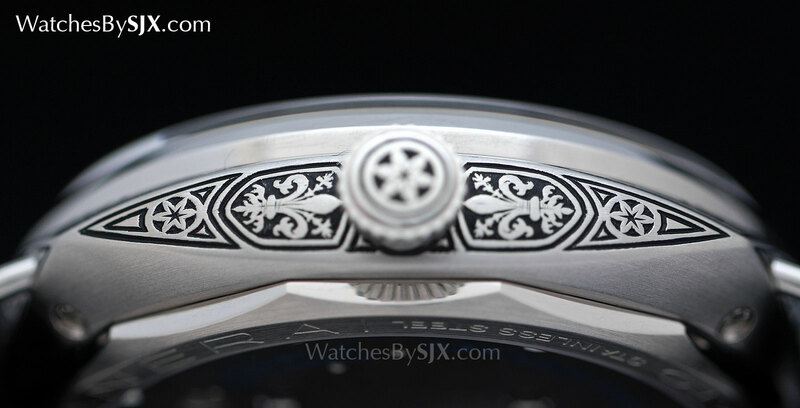 Though not evident in the photos, the dial is finished with a fine sun ray brushed pattern and is a deep, dark grey. It has a sandwich construction with ivory Super-Luminova. 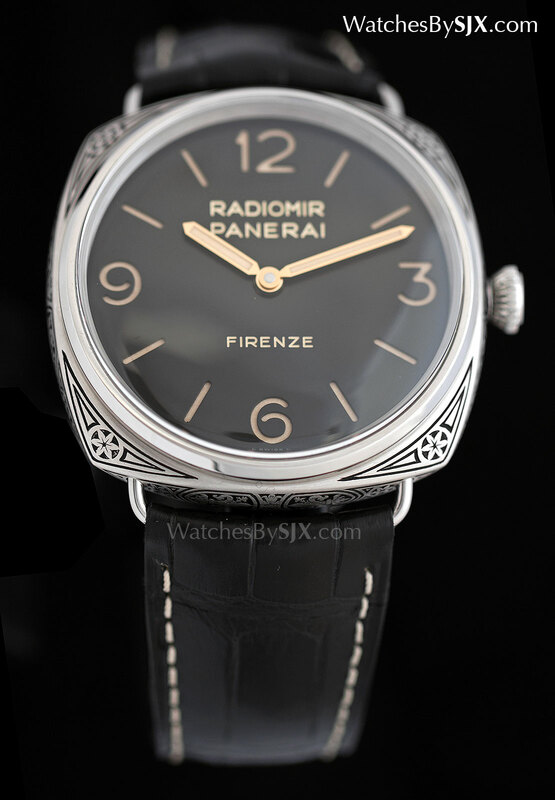 The Radiomir Firenze is a limited edition of just 99 pieces, evidence of Panerai’s shifting strategy as the brand matures and the overall watch market slows. Smaller runs like this will become more prominent, rather than the 1000 or 1500 piece editions that were standard issue in the past. 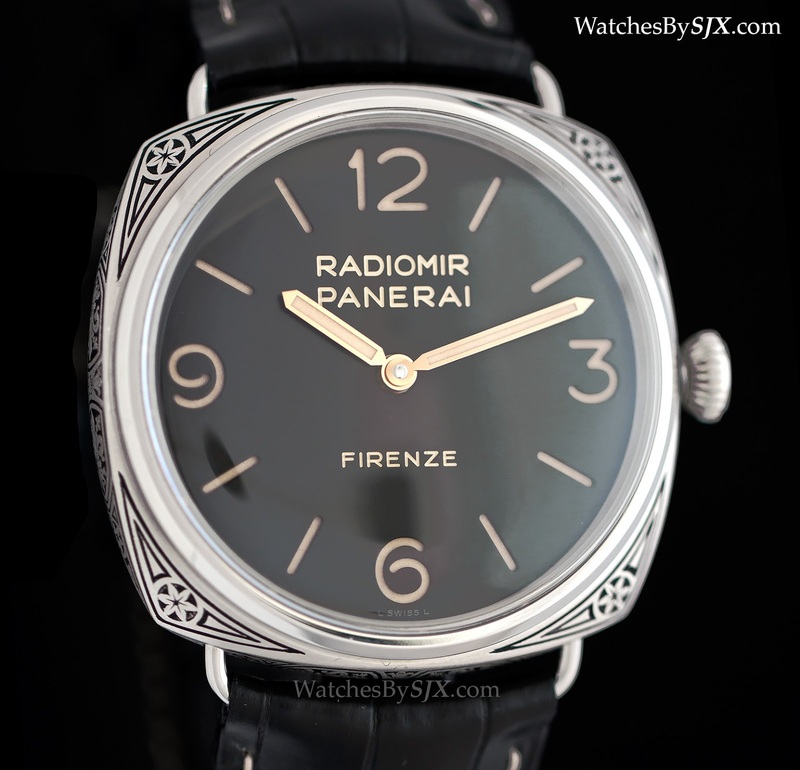 Sold only at Panerai’s store in Florence, the Radiomir Firenze PAM00604 costs €17,000 before taxes.